The subreddit r/cryptocurrency is probably one of the biggest subs in the whole cryptocurrency circus, with more than 850k subscribers. In their recent “Best of 2018 awards” post they asked for submissions and votes in different categories. One of those categories was “Best Meme of 2018”. And the winner is…. BANANO! Your favorite memecoin! The original post of the meme received more than 3600 upvotes. 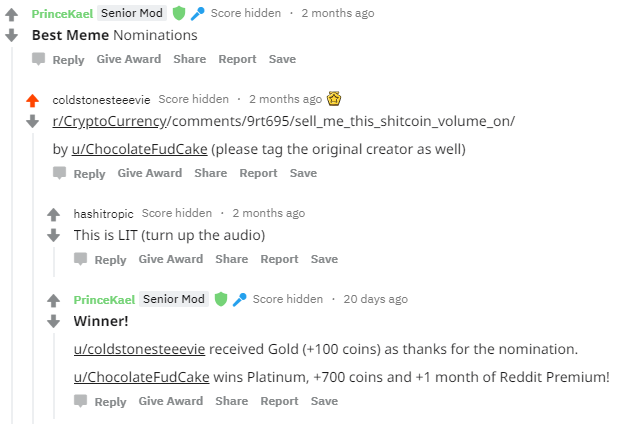 The winners were already announced some days ago in the original post, however unfortunately this hasn’t been announced separately yet and you might have missed it. We think this is something to celebrate and enjoy, and make sure you guys all don’t miss The Cryptocurrency Meme of the Year. 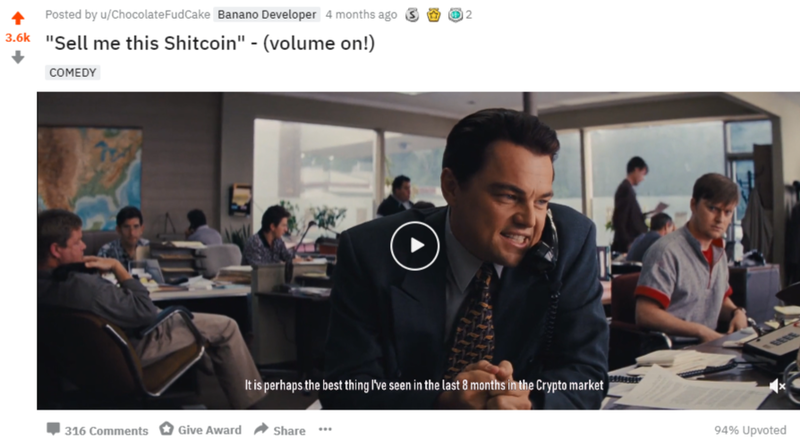 Now below it finally is, “Sell me this Shitcoin”, made by few members of the BANANO community: our master entertainer TriggerHaven, Arksun, and Khlilo98 with lots of talent, sweat and fun, including bantastically precise voice-overs, so make sure your sound is turned on and enjoy! Also, if you like the voice-over and want to see and hear more from TriggerHaven, visit his Twitch Stream and even earn free $BANANO while watching.